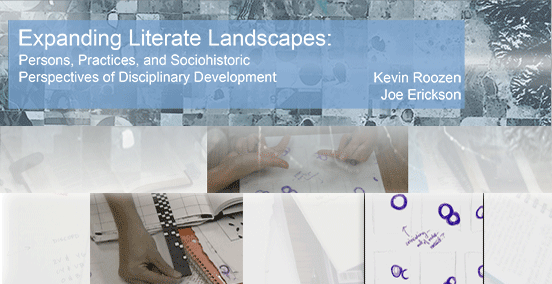 Challenging narrow, institutionally-bounded accounts of the relations among writing, the social, and learning, Expanding Literate Landscapes presents five longitudinal case studies of writers to argue for a more dispersed, complexly mediated and heterogeneously situated understanding of trajectories of identity, practice, and literate development. We offer analysis of disciplinary activity that begins with the mediated activity of persons in situated sites of engagement, but we link this activity to broader histories of practice and to the historical production of mediational means. 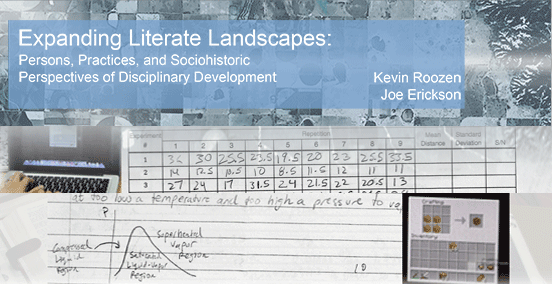 By situating disciplinary development along historical trajectories that stretch beyond a particular focal discipline and into the broader literate landscapes learners inhabit, the portraits of writing, learning and enculturation we offer here illuminate the dynamic interplay of multiple literacies that can inform disciplinary writing. 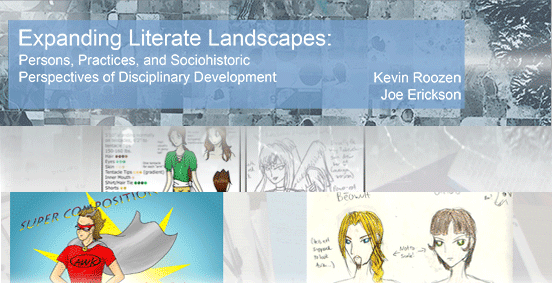 Drawing upon a wealth of digital data (i.e., sample texts and artifacts in a wide range of media, still images, audio- and video-recordings of text-based interviews, observations, and video-recordings of persons participating in literate activities) from longitudinal case studies of undergraduates, graduate students, and working professionals writing for disciplinary worlds and their other literate activities, we argue that the development of disciplinary ways of being needs to be understood in relation to, rather than apart from, learners’ broader literate lives. 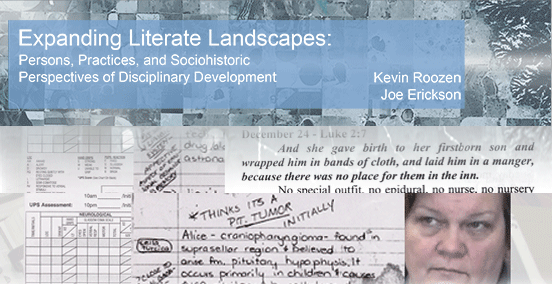 This is a multimodal text featuring still images, video clips, and audio clips. All of these media files have accompanying textual descriptions or transcripts. To access the transcripts for video and audio files, click on the transcript link beneath them as you encounter them in the book. They will pop up in a new tab in your browser. Many of the images you encounter can be enlarged by clicking on them. When you hover over the images, a blue box will appear around it to indicate that the image is enlargeable. Expanding Literate Landscapes has been successfully tested in the latest versions of the Chrome, Firefox, and Safari Web browsers. Roozen, Kevin and Joe Erickson. 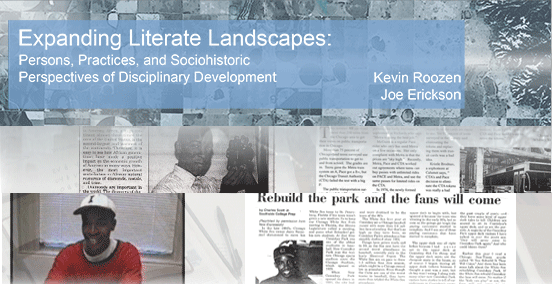 Expanding Literate Landscapes: Persons, Practices, and Sociohistoric Perspectives of Disciplinary Development . Logan, UT: Computers and Composition Digital P/Utah State UP, 2017. Web.